The National Center for Outdoor & Adventure Education (NCOAE) offers a Hybrid Wilderness EMT training (Hybrid W-EMT), a Wilderness Upgrade course to follow the Emergency Medical Technician training. The Hybrid W-EMT curriculum is comprehensive and practical. It includes the essential medical foundation combined with required skills for accessing and managing medical issues in remote and wilderness environments. NCOAE’s Hybrid Wilderness EMT training [offered in conjunction with the Wilderness Medicine Training Center (WMTC)] allows individuals to independently complete 30-50 hours of home study and testing prior to the hands-on training on NCOAE’s Wilmington, North Carolina campus. PLEASE NOTE: To register and participate in this training, you must provide proof that you currently hold a state or national EMT certificate or credential, or you must already be enrolled in our ‘Intensive’ 19-Day EMT-Basic training. EMT-B Training must be complete prior to this 5-day practical training. The Wilderness Medicine upgrade gives current EMTs the specifically tailored skills they need in remote and wilderness settings. The Wilderness Medicine upgrade gives current EMTs the specifically tailored skills they need in remote and wilderness settings. This Wilderness Upgrade prepares students for emergency situations that could involve prolonged patient care, remote environments and improvised equipment. This training is presented in conjunction with our partner WMTC (Wilderness Medicine Training Center), which is an affiliate of the Wilderness Medical Society. This training exceeds the W-EMT Scope of Practice requirements endorsed by the Wilderness Medical Society. Wilderness adult and child CPR and AED certification is included in this training. Course topics include: The assessment, diagnosis, and treatment of traumatic environmental and medical mechanisms of injury. This includes, but is not limited to wound cleaning, spine injury assessment, dislocation reduction, CPR in remote settings, anaphylaxis, and asthma. The Hybrid W-EMT on-site NCOAE training places an emphasis on scenarios and hands-on activities, to complement the prior independent study. Participants will be involved in patient assessment drills and simulations in the field. This on site component of this training takes place at the NCOAE campus. You’ll have housing options including living with fellow students in a “tent city” environment, complete with bed, shower, kitchenette, wi-fi , and 24-hour access to an on-site classroom. Or, if you choose, you are welcome to bring your own tent or hammock to use nearly anywhere on our 17-acre facility. Day 1: Welcome, introduction, and Q&A on basic anatomy and physiology. Also covered: BLS movements and scenarios; patient history, vital signs, and physical exam; SOAP note taking; and, focused spine assessments. Homework for Day One: case studies. Day 2: Case study reviews. Hands-on labs focused on basic splinting, wounds and injections. Homework for Day Two: case studies. Day 3: Case study reviews. Advanced applications of skills learned thus far. Litter packaging and transport. Homework for Day Three: case studies. Day 4: Case study reviews. Backboard/litter simulations; advanced splinting; dislocation lab (digit, jaw and patella reduction); hanging traction; and, hypothermia packaging. Homework for Day Four: case studies focusing on eyes, ears nose and throat. Day 5: Case study reviews. Mass casualty simulations; First Aid Kits; training debrief and close. What do I need to do to obtain a Wilderness + Emergency Medical Technician EMT (WEMT) certification? If you are a Nationally Registered EMT (NREMT) or a state registered EMT, such as North Carolina EMT (NC-EMT), provide proof of your current/valid EMT certification and then complete our Hybrid Wilderness + Emergency Medical Technician (W+EMT) course. Obtain your Wilderness First Responder (WFR) certification through us and then enroll and complete one of our intensive Wilderness + Emergency Medical Technician (EMT) training programs. We will then upgrade your Wilderness First Responder (WFR) to a Wilderness Emergency Medical Technician (WEMT) certification. How does the Hybrid Wilderness EMT (WEMT) course differ from other WEMT training programs? Other intensive WEMT training programs require you to attend a training facility for up to an entire month of classroom education and practical skills training. With our Hybrid Wilderness Emergency Medical Technician (Hybrid W+EMT) training course, you complete the classroom study online, without having to take time away from home, work, or school. You then spend only five (5) days at our training facility in North Carolina to develop and practice the practical, hands-on skills required. Do students taking your Wilderness + Emergency Medical Technician (WEMT) course automatically earn their National Registry of Emergency Medical Technicians (NREMT) designation as a result of passing your course? No. The National Registry of Emergency Medical Technicians (NREMT) — a not-for-profit, non-governmental, free-standing agency that tests, recertifies and registers emergency medical services providers from across the nation — requires you sit for and pass its exam in order to receive the NREMT designation and be listed in the Nationally Registered Emergency Medical Technician database. In order to sit for the NREMT exam, you must first successfully complete a state approved/credentialed EMT training. Once you successfully complete the EMT-Basic or the Advanced EMT (Intermediate) training, you will be elgible to sit for the NREMT exam. Why is your Wilderness + EMT (WEMT) training described as a 'hybrid' program? Our Hybrid Wilderness + EMT (WEMT) training involves both self-study (at-home study) through an online course and practical, as well as hands-on training at our facility in Wilmington, North Carolina (NC). You spend 30 to 50 hours with at-home study and testing prior to attending the five-day practical skills training. After I register and pay for the Hybrid Wilderness + Emergency Medical Technician (W+EMT) course, what can I expect? After you register and pay for the course, we will send you two email messages: one to access the online study site and the other to take the test online. We recommend that you read and study the material carefully, so you are confident that you have mastered the material prior to taking the test. What happens if I fail the Wilderness + Emergency Medical Technician (WEMT) test? Do I get to retake it? The online tests are broken up into three (3) different categories. Upon completion of the Wilderness + Emergency Medical Technician (WEMT) course, do I receive proof of certification? After you successfully complete the W+EMT course, we present you with a certification card and a WEMT patch and sticker. In addition, you or a prospective employer can call or email us at any time to verify your certification. Email your proof of certification request to officeadmin@ncoae.org with “WEMT Proof of Certification Request” in the subject line. Please include your full name. If we receive the request via email, we will return proof of certification via email. We can also verify certification over the phone or ship proof of certification to a designated mailing address; call us at (910) 399-8090. Does the Wilderness + Emergency Medical Technician EMT (W+EMT) training course include CPR training and certification? Yes. You will receive a two (2) year certification in Wilderness CPR (WCPR). Our WCPR training follows the guidelines of the American Heart Association (AHA). How long does my Wilderness Emergency Medical Technician (WEMT) certification remain active? Your Wilderness EMT (WEMT) certification lasts for three (3) years from the date it is issued. What do I need to do to get recertified? Wilderness EMT and Wilderness First Responder (WFR) grads can become recertified by taking a Wilderness First Aid (WFA) course (Hybrid or Standard) before the certification expires. If you let your certification lapse, you must take the entire Wilderness EMT or Wilderness First Responder (WFR) course again. Although recertification is available for Wilderness EMTs and Wilderness First Responders, we strongly suggest you take the full course every six (6) years as a refresher. Can my Wilderness + Emergency Medical Technician (WEMT) certification be extended? No (and there aren’t any exceptions to this rule). It is much easier to get recertified by taking our Wilderness First Aid (WFA) course (Hybrid or Standard) before your WEMT certification expires. 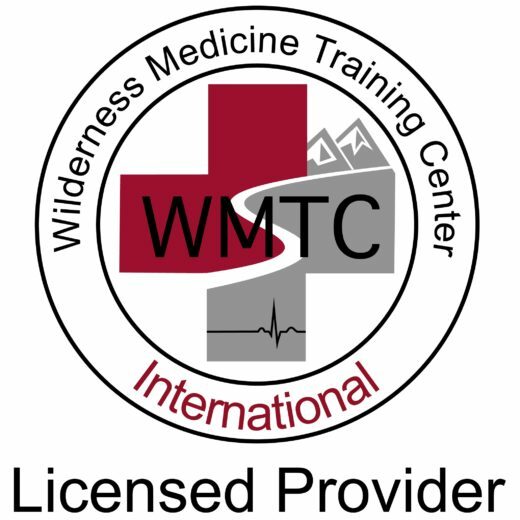 Once your Wilderness + Emergency Medical Technician (WEMT) certification expires, you must retake the Wilderness + Emergency Medical Technician course in its entirety to become recertified. We strongly recommend that you recertify before the expiration date on your card. Assuming we have your email address, you will receive a reminder approximately four months prior to your Wilderness First Responder (WFR) certification’s expiration date, giving you plenty of time to register for and retake the course. Make sure we have your current email address on file. I received my Wilderness + Emergency Medical Technician (WEMT) certification from another organization. Can I recertify through you? Yes, assuming that your EMT and WEMT certifications are still active (not expired), you can take our Wilderness First Aid (WFA) training program (Hybrid or Standard) for WEMT recertification. When you sign up with us, indicate that you are taking our WFA training for WEMT recertification and that your current certification has not expired. You must provide both your EMT and Wilderness EMT cards with their expiration dates to prove that your certifications have not expired. As mentioned above, if your certification has expired, you must retake the entire Wilderness EMT course. I lost my WEMT certification card. What should I do to get a replacement? To purchase a new Wilderness Emergency Medical Technician (WEMT) certification card, email us at officeadmin@ncoae.org and type “lost card” in the subject line. Please include your full name and mailing address, the date and location of your course, and the name of your WEMT instructor. Or call us at (910) 399-8090 and be prepared to supply this information over the phone. This training includes a foundation of wilderness medicine philosophy, with an emphasis on preventing and identifying medical emergencies, using appropriate technology, and understanding risk management. Upon successful completion, students will receive a Wilderness EMT upgrade. Certifications are valid for three years. The didactic curriculum and practical field training exercises at NCOAE and the Wilderness Medicine Training Center were superb, and well designed to provide a thorough and comprehensive approach to managing emergency scenarios in austere environments. The instructors were knowledgeable, thorough and displayed a clear passion for the topics and for teaching students these critical skills. As a New York City business executive and former Navy Combat Medic (Corpsman), I place a heavy emphasis on quality training and leadership excellence. NCOAE has it all; I highly recommend their instructors and their programs.